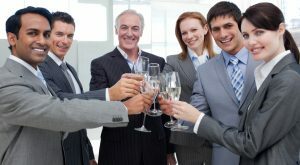 Every business loves celebrating successes, and those celebrations often take the form of company parties. 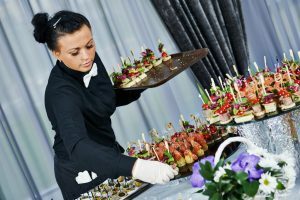 If you’re in charge of planning the next corporate event in your office, you want to make sure everything is perfect. You begin months in advance, looking at venues, considering who will handle the catering, and what the theme of the party will be (if any). At Lumen Lighting, we would love to be a part of your event, and with our lighting packages, you can create the ideal party for your company. Perhaps you’re thinking about having the next company event in your office building, but you want to transform the ordinary space into something special. Regardless of the design and architecture of your building, we can come up with a lighting design that conveys the look and feel you want. We offer strand lighting, chandeliers, drapery, and more that can change how a space feels and functions, and we know that you’ll love the finished product. We can come to your building at a time that works for you to view the space and speak with you about what your vision is for your party. Do you see a night in Paris, or perhaps an evening at Mardi Gras? No matter what your ideas are, we’ll make sure your party has the class and sophistication you want. Even though September is here and most people are thinking about spending more time indoors, you may still be thinking about having an outdoor event. If your company is celebrating an anniversary or a special milestone, gathering every employee and their family for some outside fun is a great way to commemorate the occasion. You might be hosting a barbecue or organizing a company picnic, but whatever the case may be, we can illuminate the space with string lighting, rope lights, and more. This can be especially beneficial if you’re planning for your event to continue after sunset and you want people to continue having fun well into the night. (Lighting is also important for safety when planning an evening party). Your party might be months away, but it’s important to start planning now rather than later. Perhaps you’re thinking about your company’s holiday or New Year’s party, and even though fall hasn’t yet arrived, you can get a head start on your event details. December will be here before you know it, and everything from the guest list to the catering and lighting will have to be taken care of well in advance to ensure your party goes off without a hitch. If you’re the one in charge of your company’s next corporate event, or you have a committee of people who work with you to plan each party, contact Lumen Lighting today. We’re located in Orem, and can come to any venue from Provo to Ogden. If you’re unsure whether or not you fall into our geographic service area, simply give us a call and we’ll gladly talk to you about our availability. Above all, we want to you receive exceptional service! Contact us by using the form below, or call us at (801) 683-2100. We look forward to meeting you!